Here's a heart-healthy recipe for American Heart Month! You'll love this gluten free, dairy free dessert. 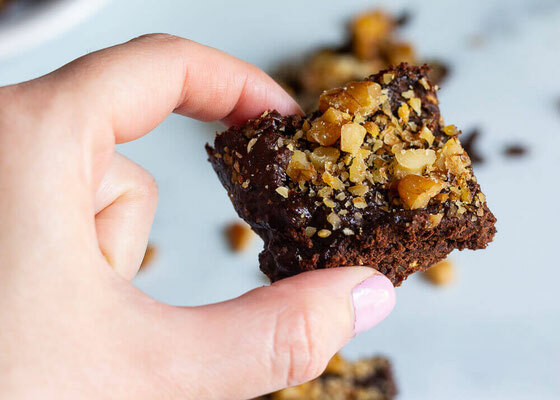 I can't wait to hear what you think of these walnut avocado prune brownies! When my boyfriend, Lawrence, recently started a gluten-free diet, I was met with a challenge. I'd never really delved into gluten-free baking before, and let's just say my first few experiments were ultimate flops. Lawrence was kind pretended to like them, though! 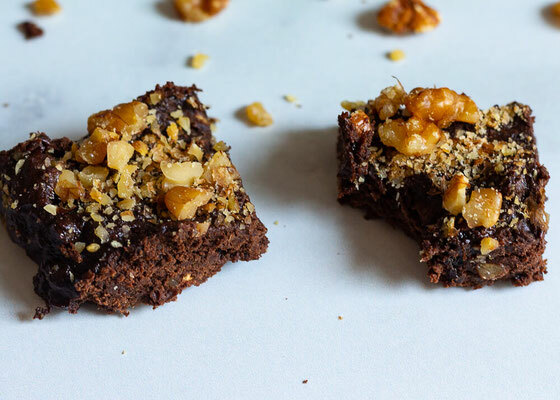 We got together with some friends this past weekend, and I was determined to bring a healthy, gluten-free brownie. 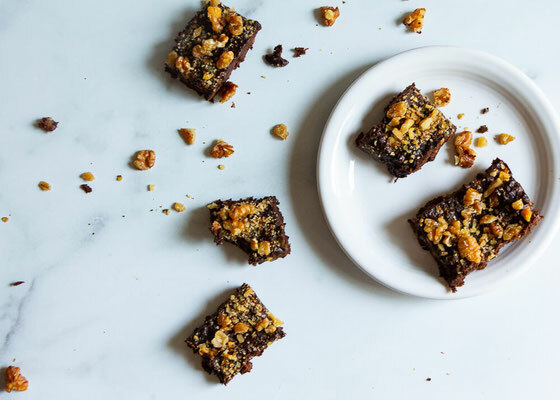 Enter my Walnut Avocado Prune Brownies! The prune puree reduces the need for added sugar while adding bone-helping minerals, and the avocados replace oil or butter while providing heart-healthy fats. I've really gotten into cooking with avocados recently! The walnuts add a lovely crunch and add filling fiber. *I used Bob's Red Mill 1-to-1 Gluten Free Baking Flour. Preheat oven to 350 degrees Fahrenheit. Puree prunes and water in food processor until well combined. Add in avocado, sugar, flour, cocoa powder, baking soda, vanilla extract, and eggs; puree until smooth. Fold in 3/4 cups walnuts, and pour batter into a 8-by-8 nonstick baking tray. Top with remaining walnuts, and bake for 22-25 minutes, until set. Cool and refrigerate before serving. Makes 16 pieces. What are your thoughts on this topic? What are your favorite gluten-free recipes?